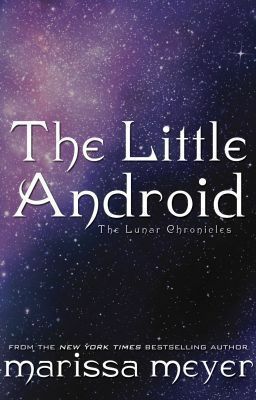 READ “THE LITTLE ANDROID” HERE. And true to fandom form, the Tumblr inspiration boards are already popping up! Check out this beautiful one from MocaMittel. YAY! Love this story. I was hoping there’d be a new post. When will you release “Levena’s Tale” ? Looking forward to that one a lot! I love the cover art or whatever that is! So cool. I am now a member of wattpad and have a novel on there. i’m trying to have fans and comments and spread the word. go to http://www.wattpad.com search the draft by adele west and bingo! Please comment. Will we be able to download this like Glitches and The Queen’s Army? I hate the ending. I ran out of tissues. Hate the fancy cyborg girl and LOVE, LOVE the cinder element. How can you have such awesome IDEAS? Great job! I read it yesterday and it was awesome. I was kind of thrown off for a second cause I (for some strange reason) thought it was going to be based on The Little Mermaid story that I was used to, but then I quickly realized you were basing it on the original story. Great Idea!!! 😀 It was a fantastic read! I don’t know how you can take original tales and turn them into these awesome stories. I love how you added in Cinder too. I loved this! So sweet, and the ending was absolutely perfect. I like that you went with the original version of the fairy tale instead of the better-known Disney version. a very nice retelling of the little mermaid. Though, I wish Star and Wing ended up together. I was just confused at the last part. Did Star and Miko change their faces so Miko could stay with Wing? My mind was full of what ifs after reading the stories. I read it two times. This story is fabulous! I was familiar with the original fairy tale, so I knew how it was going to end, and yet I still cheered for Mech6. But when the end came, it felt so natural and perfect, and my heart went out to her. Awesome. One of the best retellings I’ve ever read. Thank you!! I was sooo confused at first because I thought it was going to be about Iko, and then it said she met Cinder at the market and I was so confused lol. But now I get that this is showing that Iko is not the only android developing feelings and stuff. So cool! Pingback: Bookish Reviews: Novella Edition | Oh, the Books! Oh my stars! I was about to cry in the end. So sweet! Marissa Meyer you rock! You are incredibly talented!